After what felt like an eternity of impatiently awaiting an email marked LFF, or something similar, to land in my increasingly dull Mail inbox, I finally received my BFI London Film Festival press accreditation approval the other day, and it was met with both joyous relief (it’s perhaps my biggest opportunity yet) and sudden anxiety (the logistics are proving to be an absolute nightmare in the short amount of time I have left to prepare). I mean, it’s not like I’m a festival virgin. Not only have I attended the past two Edinburgh Film Festivals in a row, but I’ve also been lucky enough to make trips to Inverness and Glasgow for their most recent cinematic soirees. But, as I mentioned above, this is the biggest festival I’ve ever been accepted into as a fully fledged member of the press, and it lets me see how far I’ve come in such a short period of time. 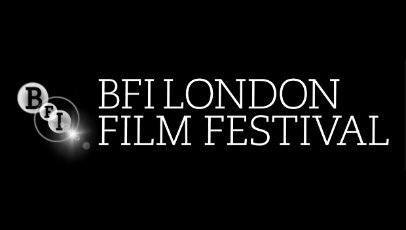 To me – rightly or wrongly so – the London Film Festival is one of the biggest and most buzzed about film festivals in the world, and to have the opportunity to attend is something of a dream come true. Undoubtedly, I’m hugely excited about the chance to see some my most anticipated films of the year (Lawrence Anyways! The Sessions! Sightseers!) in a city I don’t spend a lot of time in but love nonetheless. But what’s perhaps most exciting to me, someone who is socially awkward yet adventurous and outgoing at heart, is the fact I’ll be able to do some serious networking and meet some of the friends and colleagues I’ve amassed over the few years I’ve been taking the whole writing thing seriously. I’m still not entirely sure how and if everything will work out, and there’s still a massive amount of planning to be done on my part, but I’m very hopeful and excited about how potentially amazing this trip could end up being. There seems to be a particular buzz about this year that signals to me that, even if the films turn out to be rubbish (which I doubt) and some other things don’t work out to plan, I’m still likely to have fun. Plus, it’s always nice to have the chance to escape Scotland. Opportunities like these don’t come around often, you know.